After the success of the 1992 conference at BCC, some of the organizers including Jules Rykebusch and Ken Souza wanted to repeat a smaller version of the gathering every year on the first weekend in August. So the Lizzie Expos were conceived and sponsored by the Down Under Cafe. 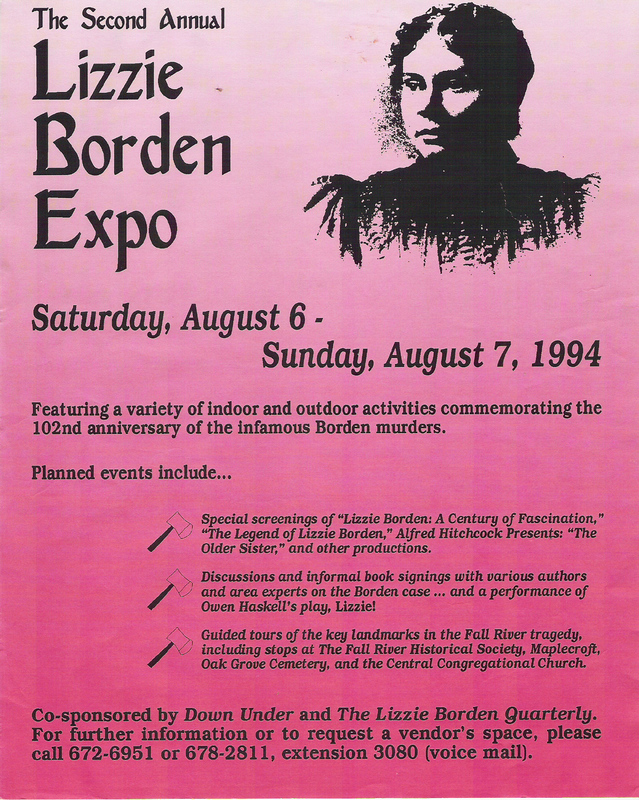 The image above is from the 1994 Expo and details some of the events. This was also the year the mannequin of Lizzie (which held a pear and was in the entry of the Down Under) was kidnapped. A reward was offered and she returned mysteriously by the second day. The Herald featured the tale on the front page. 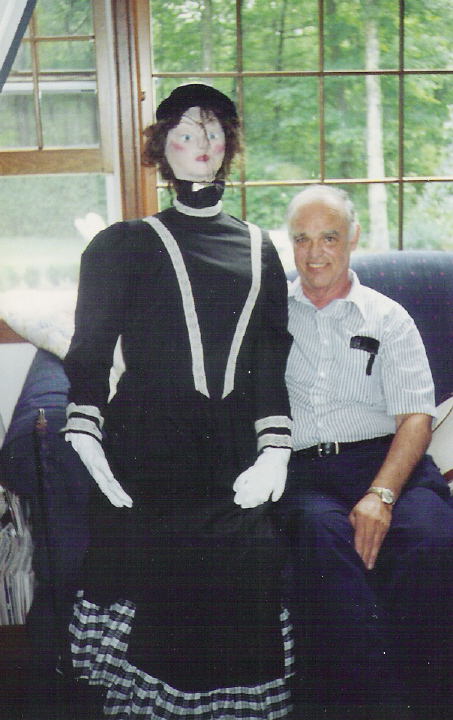 She is shown below with Ed Thibault. 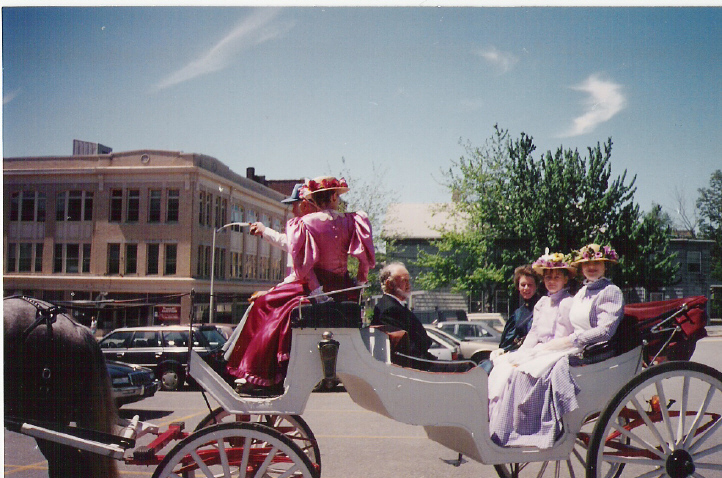 Carriage rides and city tours were part of the fun. Here are some of the city guides in costume and in character as 1892 Fall Riverites on the way to Maplecroft. 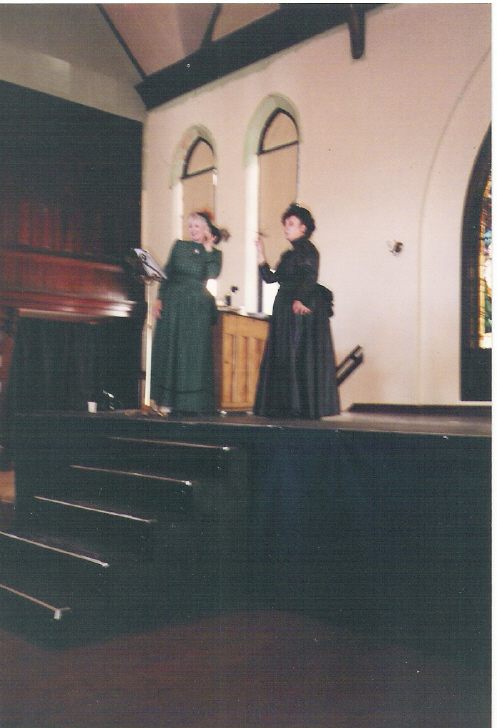 The Sweet Nightingales sang songs of the 1890’s at the old Central Congregational Church. This stage area in the photo below is now part of the Abbey Grille restaurant downstairs. The song being performed here is You Can’t Chop Your Pappa Up in Massachusetts! By 1996 #92 Second Street had opened, and the Expos were no more-but they were fun while they lasted!